'75 Whitby 42. There is on each side of the steering column what at first appeared to a switch with a badly corroded knob. While doing some wiring in there I realized that they were valves plumbed into the steering hydraulics. There is a small tag above the valve which says ON and another one to the right which says OFF. Any thoughts what they do? I'm afraid I might have turned one of them so not sure what to expect. I'll check the manual when I get home but don't recall seeing anything like that last time I went through the manual. These connect the helm feedback to the wheel. 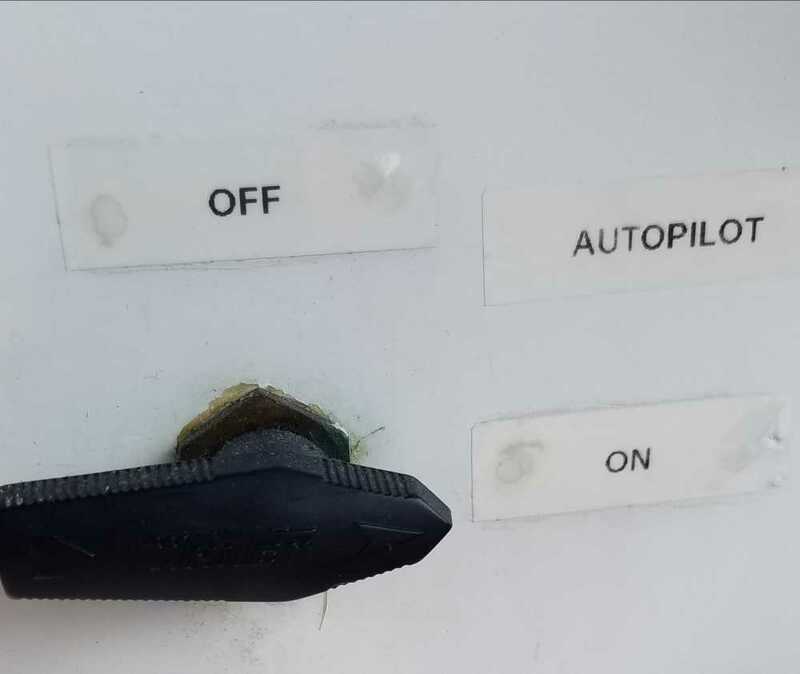 When closed, the autopilot has control and there’s no feedback to the wheel. When open, you’ll get a small sense of rudder pressure. And when the autopilot is steering — watch out. The when will move with considerable force. Primarily those valves allow the autopilot to function. The valves must be in the "on" position when the autopilot is engaged. If they are not, the autopilot will cause the wheel to spin and have no affect on the rudder. When not using the autopilot the valves can be in either position. 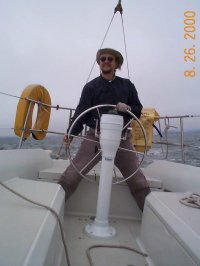 In the "off" position you'll get more feedback from the rudder to the wheel. We always leave ours "on". Note that both valves should be turned to the same setting at all times. You would never have one "on" and one "off". I should add too that "on" and "off" in my description are relative to how my valves are installed and labelled. It may be reversed for you. Just looked through the Owners Manual. None of the piping diagrams show those valves. 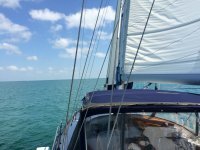 We just got rid of a twin engine trawler with two helms. Nothing special was required when running the autopilot. Autopilot did not turn either wheel although they were free to turn manually and confuse the autopilot. ConejoGrande, like that valve handle. Ours must have been the potmetal type, totally corroded down to the nub.